Inclusivity. The feeling of being accepted and embraced. It can be one of those things you don’t realise you have until you don’t. Growing up as a half Tibetan, half Australian, buddhist, brown girl in South Dunedin, Yeshe knew what it looked like to be included, and what it felt like to not be. She’ll share those experiences with you and how she’s found as a small business owner that one has the ability to foster an environment of inclusivity at the ground level and to create ripples no matter what their size. The Midnight Baker began four years ago with Yeshe Dawa and her unsuccessful search for good gluten free bread. 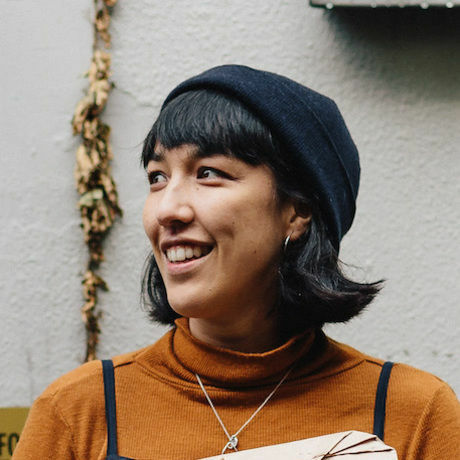 She has grown her one woman late night side project into a small bakery supplying her bread to establishments around Aotearoa, and a plant based weekend eatery in Auckland. A passionate baker, her mission is to make delicious food that just so happens to be gluten & dairy free, and to give customers the freedom to eat without worry and enjoy food in its most natural, nutritious form. The Midnight Baker started as side project, spurned forward by a love of baking treats late at night and a quest to find wholesome, healthy alternatives that catered to gluten & dairy free dietary requirements, without comprising on taste. We love that we make every jar of Fix & Fogg from start to finish in our factory in Wellington. From designing our labels to our carefully blended peanut butter, we’re completely hands-on throughout the entire process. We think our award-winning butters are so popular because people can taste the difference in a product that’s handmade by humans who care about quality. At Almighty, we strive to be socially innovative with the way we do business (juicy business), and creativity has always been at the heart of social innovation, exploring new ways of finding solutions to world problems that are more just, more efficient, more sustainable and, sometimes, just more effective. We choose to support the CreativeMornings breakfast lectures to not only encourage others to take part, but to engage in this discourse ourselves, to learn, and to take part in some small way. At antipodes we believe the heroes of the table should be the food and fine wine so we chose a water source that has a mineral fingerprint subtle enough to refresh but not alter the palate. Antipodes is very proud to support CreativeMornings Auckland because everything we do in life requires a creative mind. A small team of professionals dedicated to bringing you the best specialty coffee and the best service you can find. We keep your cafe full and your coffee machine running. Welcome to the world of Libertine Blends – we blend organic tea here in Wellington, Aotearoa. We partner with those who value human connection and support those taking risks to create something new. We think Creative Mornings and the speakers who share their stories are a great match for our bold and thoughtful blends. Wakefields Digital Ltd is a complete print solution service, based in Wellington, with full bindery, Posters and Banner printing , entire mailing and prepress services all on site. We supply state-of-the-art pre-press facilities and digital printing with desktop publishing capability.